The Circus is in trouble! As a youngster, it was always an exciting time to watch the circus train come into town and see the tent going up with the help of elephants. Each time the big tent was put up in the Boise Fair Grounds, it was fascinating to watch the roustabouts, circus performers and animals quickly moving in a well-rehearsed routine so that the show could go on without delay. 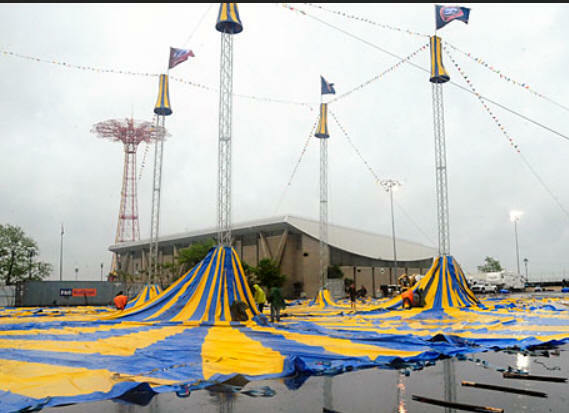 The circus tent only held three rings so the children could focus on one act at a time. 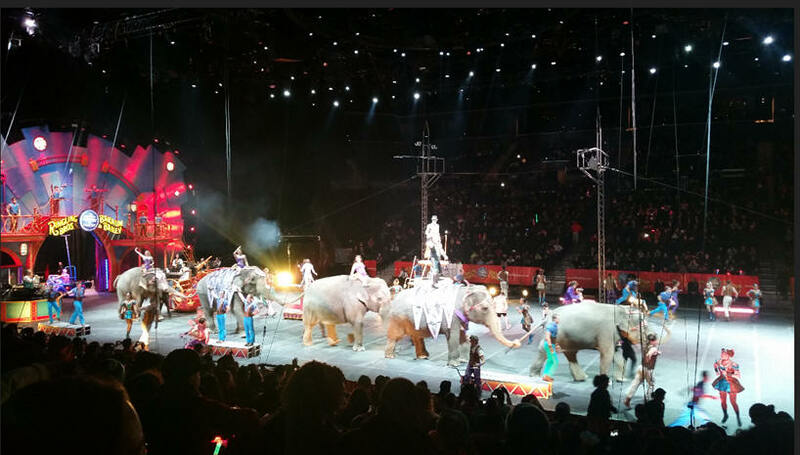 Now, thanks to animal rights activists, that experience has disappeared and children will no longer get to see a well-choreographed assembly putting up the giant circus tent. In fact, the Ringling Brothers, Barnum and Bailey circus is now gone. As a child, it was always a thrill and experience to attend the circus each year including getting to sample cotton candy floss. Now compare that experience with the political circus that exists in Washington, D.C. Since the surprising results of the 2016 Presidential election, some of the various Washington Ring's have been aimed at slowing and/or destroying the result of that election in which Donald Trump defeated Hillary Clinton. Almost immediately, there began an effort to invalidate the results of the constitutional republic's election as supporters of the democratic nominee were devastated with the results. A year after the election, we have multiple Congressional investigations into so-called "Russian collusion", a main-stream media that is publishing almost 90% of its stories that is critical of the President Trump and a Independent Counsel investigation being conducted by members with apparent biases which should have caused them to recuse themselves from the investigation. Despite all the side-shows swirling around President Trump, his agenda has not been totally defeated. In fact, with the exception of repealing Obamacare, the Trump administration has made progress on many fronts which he had promised to implement during the campaign. A divided Congress where the Democrats have little interest in solving the nations problems with the Republican House and Senate majorities. Many members of the Republican majorities who don't want to upset the old ways of the UniParty. The growing number of women asserting unwanted behavior by prominent male members of the entertainment, media and political organizations resulting in resignations without benefit of due process. Perhaps, the Inspector General's report on the FBI handling of the Clinton emails and the Russian dossier will finally bring the spotlight onto the main ring of the cabal trying to overthrow the results of the election of 2016. But don't count on it. The country remains divided and truth as well as common sense has largely disappeared from the our political circus. 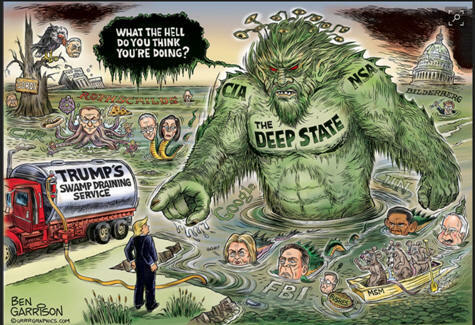 It all is about power ... political power and the UniParty does not want the swamp to be drained. Limit Senators to four terms of office and Congress members 15 terms of office, with the provision that the total amount of time to be spent in governmental service at any level city, county, state and/or federal both as an elected representative or an employee be a total of 20 years with the exception of Senators who might serve for 24 years. 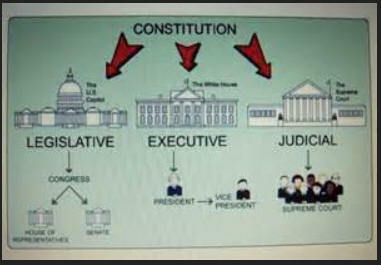 Individuals except for Senators can only work for the government for a total of 20 years at the city, county, state and/or federal level with the exception of those in the military including the Coast Guard and in the judicial branch. All federal judges must retire at age 75. Reduce the number of executive branch positions requiring Senate confirmation with the stipulation that once nominated action must be resolved within 30 days. But then - 'Tis Only My Opinion! 'Tis only My Opinion! Archive Menu, click here. This issue of 'Tis Only My Opinion was copyrighted by Strategic Investing in 2017. All rights reserved. Quotation with attribution is encouraged. 'Tis Only My Opinion is intended to provoke thinking, then dialogue among our readers.